The Russian real estate market offers a wide variety of options in terms of locations, architectural styles and sceneries. From the never sleeping capital of Moscow to Lake Baikal near Irkutsk, the world’s deepest lake, you will find your perfect home here, in the largest country in the world! 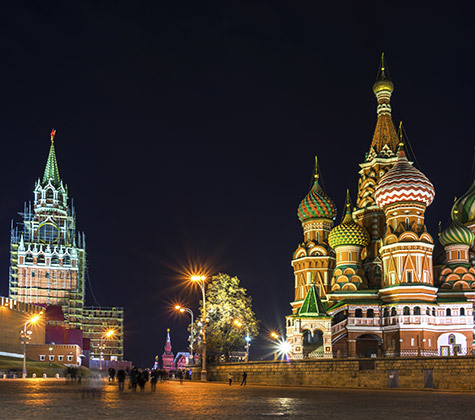 Moscow, Russia's political and economic center is one of the most attractive locations that can easily satisfy almost any demand. For those seeking breathtaking views there are plenty of stylish studio-type apartments in the modern skyscrapers of Moscow City. You can also find modern lofts with industrial design in former manufacturing buildings. If you wish to feel the spirit of Russian history you will want to view the Stalin era architecture, with its high-rises known for their monumental Empire design and legendary past. Looking for something more luxurious? Our specialists can help you find top-class properties in prestigious areas with well-developed infrastructure and high-class service so that you can enjoy every moment of your stay in Moscow. Tired of the fast paced city life and seeking the possibility of a sweet escape? You may want to consider buying a house as an alternative to the city apartment lifestyle. Even if you are not ready to be too far from city life or even stay close enough to go for a coffee in the center, you have the option of suburbs within 30 minutes distance from Moscow. Though Moscow properties have an expensive reputation, prices have fallen dramatically since late 2014, due to the ruble devaluation and the oil market turmoil. Lower prices could make buying a flat or apartment in Moscow a good investment. A local CENTURY 21® Agent can assist you in understanding the home buying process. Please seek professional advice from a qualified lawyer and tax adviser before attempting to purchase real estate in Russia.